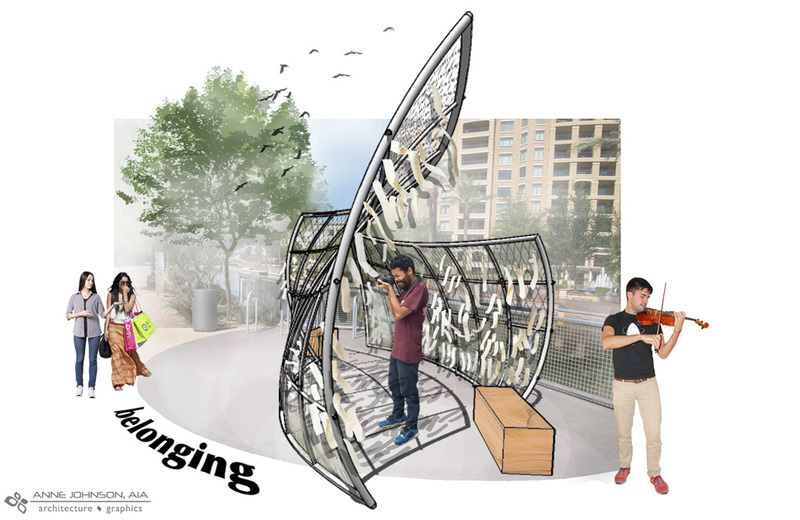 This sheltered gathering space by the water offers a place for reflection on the interconnectedness of community. The form of the sculpture’s structure and skin are inspired by several associations from my desert experiences. 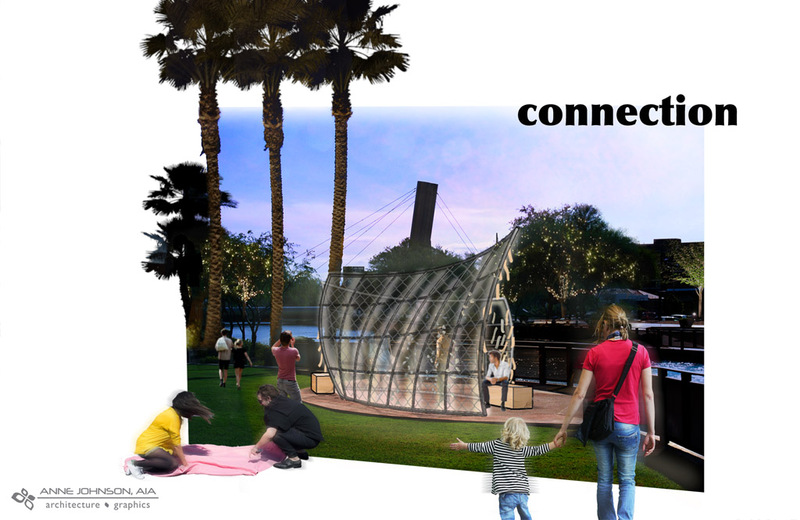 The framework is literally tied to the water with a view, and metaphorically as people become the flow: a human network. 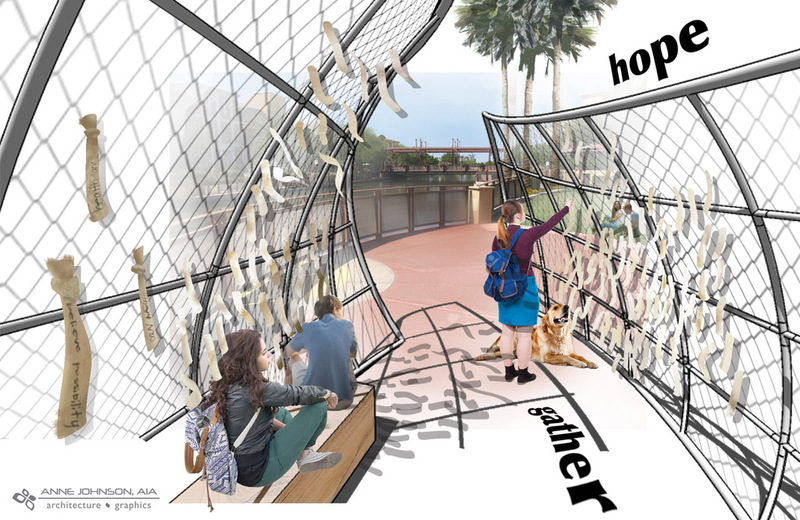 Reflection is enhanced by written messages hanging within the shelter that are “good wishes” to be exchanged. Two rounded forms bypass each other creating an axial flow. The overlap creates a gathering space with dappled shadows by day, and uplit, sheltering walls by night. Simple seating is provided beside the forms. Selected materials contain recycled content, are able to be repurposed and recycled, or biodegrade.